Much like any other fashion statement, Mini Coopers don’t come cheap. 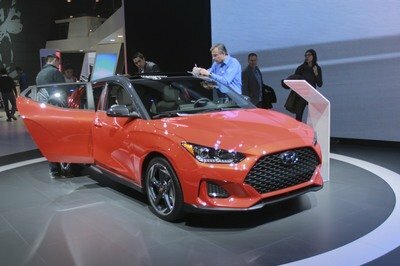 For instance, the base two-door hardtop model costs more than a Toyota Corolla and it’s nearly as expensive as the Camry at $20,700 before options. 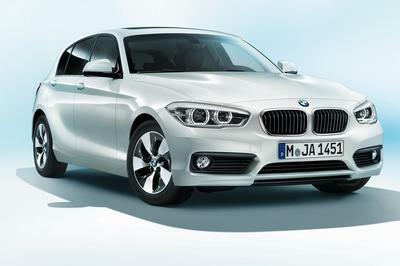 Add a John Cooper Works badge and the sticker jumps to $30,100, only $2,850 short of the base BMW 3 Series. Yes, I know I’m comparing apples to kumquats, but there really is no car to compare it to except for the Fiat 500. And that’s mainly because Mini chose to turn the tiny, revolutionary vehicle of the 1950s into a larger accessory on wheels that comes in many shapes and sizes. 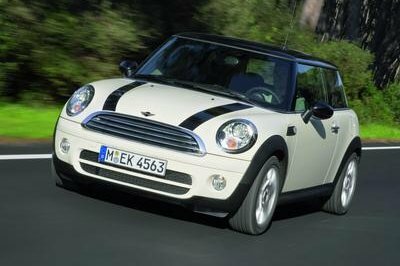 With people complaining about the price tags of the new Mini, the British company rolled out the Mini One in 2014. Powered by a new 1.2-liter three-cylinder and sporting slightly fewer features, the One became the cheapest offering of the Mini lineup, costing around 10 percent less than the base Cooper. For 2015, however, Mini is lowering the nameplate’s starting price even more with a new model that goes by the name One First. 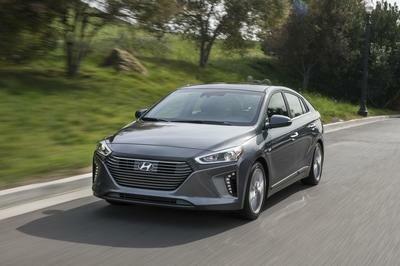 Launched as a five-door model at first, the One First makes use of the One’s 1.2-liter three-cylinder, but output drops well below 100 horsepower. Although there’s significantly less power traveling to the pavement, the hatch’s improved fuel economy is likely to make drivers forget about the sluggish acceleration. Let’s have a better look at this brand-new trim after the jump. Click past the jump to read more about the Mini One First 5 Door. The appearance of the Mini One First is identical to the base Cooper, meaning the hatch sports the plain front bumper of the latter. The "One" badge on the rear hatch suggests this is the more affordable version of Mini’s five-door hatchback. Don’t expect to find any stripes or a custom-painted roof on the Mini One First, as this compact is devoid of such features. 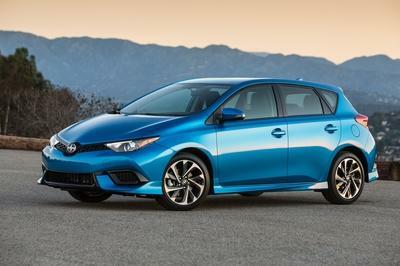 The hatch rolls on 15-inch wheels and skinny tires. 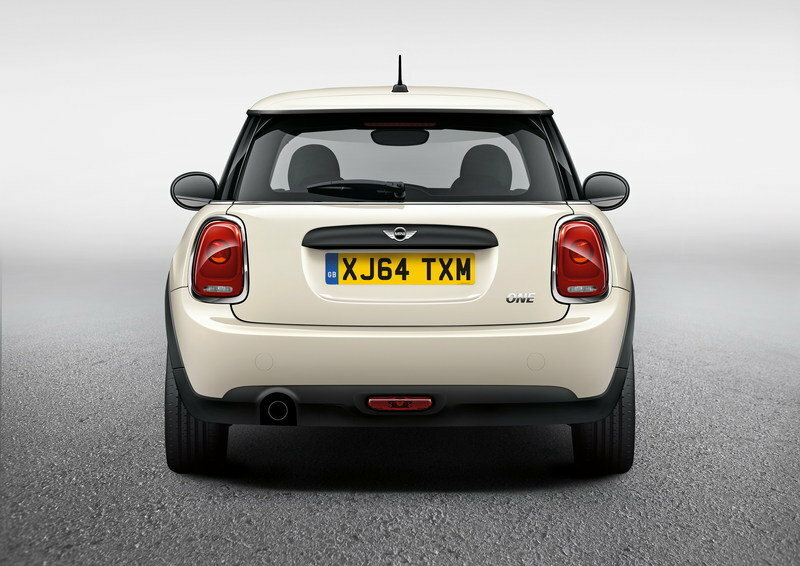 When it comes to the New Mini, it doesn’t get much simpler than this. Mini has yet to provide detailed information of the car’s interior, but it’s safe to assume a few of the features offered as standard on the more expensive Cooper and Cooper S will only be available as options. Knowing Mini, I would be surprised if the options sheet would also include a leather-wrapped, sports steering wheel and Mini Driving Modes. Naturally, the basic layout of the cabin remained unchanged, meaning drivers will benefit from the same instrument cluster positioned on the steering column and large knobs on the center stack. This is where the Mini One First stands out among other Cooper models, as its sloped hood hides a 1.2-liter, three-cylinder. Using TwinPower Turbo technology, the unit debuted on the Mini One three-door with 101 horsepower, replacing the old, naturally aspirated, 1.6-liter four-banger. In the One First, however, the three-pot generates significantly less power, as it has been detuned to only 75 ponies and 110 pound-feet of torque. As a result, 62 mph comes in 13.4 seconds, making the One First a tad slower than the Mitsubishi i-MiEV. Not to mention it’s quicker than the Renault Twizy only because the tiny French car can’t reach 62 mph. Joking about the One First’s speed isn’t exactly fair though, as the decreased output means it can return a lot more miles per gallon. Mini claims the entry-level car needs only 5.2 liters per 100 km on the average European cycle, which converts to 45.2 U.S. mpg, a significant improvement over the U.S.-spec Cooper Hardtop’s 32 mpg combined. Sure, that figure is likely to change should the One First cross the pond to the U.S. (which is very unlikely), but a 20-percent improvement sounds plausible. While the 1.2-liter three-cylinder isn’t new, the six-speed manual transmission it is paired to is. Lighter and tuned for optimized efficiency, the unit is partly responsible for the improvements in the fuel economy department. The transmission also features an integrated gear sensor that enables a higher level of shift comfort and more dynamic shifting. Mini has yet to announce pricing for the Mini One First, but it should be significantly cheaper than the Mini One. In Germany, for instance, the Mini One 5-Door retails from €18,350 ($20,700 as of 01/23/2015), making more than €2,000 ($2,234) cheaper when compared to the standard Cooper 5-Door. I expect the One First to cost less than €17,000 ($19,000). Don’t get your hopes up for the Mini One First 5-Door to reach U.S. shores anytime soon. Introduced in 2012 as a mini MPV, five-door version of the Fiat 500, the 500L is one of the main reasons why Mini decided to add two additional doors to the Cooper Hardtop. 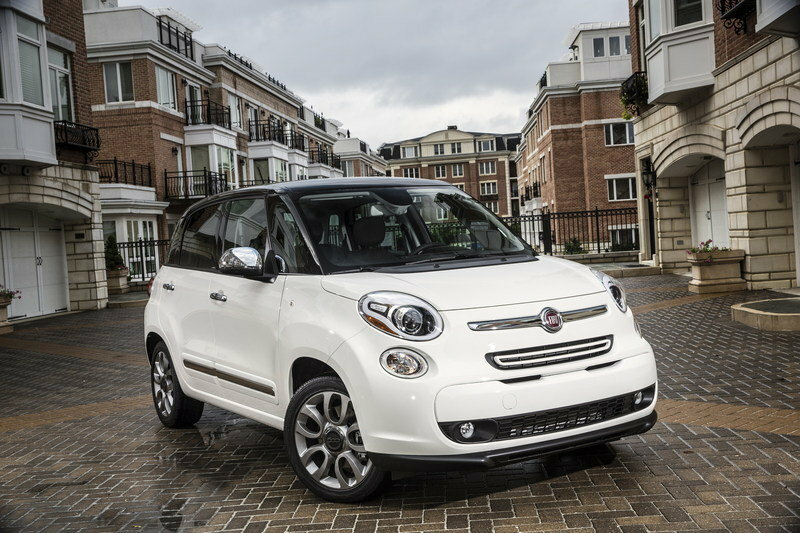 Developed as a longer, more spacious and practical version of the tiny 500, the 500L borrows most of its design features from its smaller sibling, while sporting a longer wheelbase and redesigned side panels. While the 500L might not be as stylish as the Cooper, it benefits from longer rear doors, enabling easier access in the back, and enhanced functionality. In the U.S., the 500L is available with only one engine — a 1.4-liter, MultiAir, four-cylinder that delivers 160 horsepower and 184 pound-feet of torque. The turbo unit mates to either a six-speed manual or the Euro Twin-Clutch automatic. The base Fiat 500L retails from $19,100, making it about $2,000 cheaper than the standard Cooper 5-Door, while the range-topping Lounge model fetches at least $24,195. 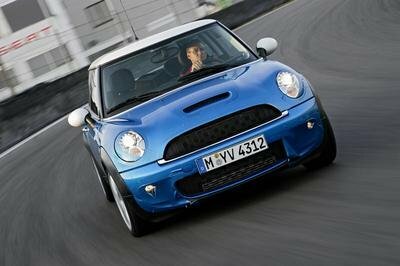 Granted, the Mini One First is the closest thing to the original car the British company has built under BMW ownership. Fuel economy is good enough to make potential buyers forget it’s the only Cooper sporting less than 100 ponies, while the new transmission is likely to provide a sporty experience behind the wheel. Unfortunately, I think Mini could’ve done a lot of wonderful things for the One First, starting with sending it to fat camp. A stripped interior and fewer electronics would’ve made the One First not just lighter and peppier, but also a lot more affordable. It’s been half a century since Mini introduced the original Cooper and there still is a market for light, affordable and sporty hatchbacks. If only the Brits would make use of the niche. Five doors and a new basic engine type now make entry into the world of MINI even more convenient and highly economical at the same time. As of March 2015, the model program of the latest generation of the original in the premium segment of small cars will be expanded to include the MINI One First 5 door. As for the new MINI 3 door, this means that the five-door body variant will also offer a range of seven engine types to choose from. Like all representatives of the latest model generation, the MINI One First 5 door is powered by a completely newly conceived engine featuring cutting-edge MINI TwinPower Turbo Technology. Its 1.2 3-cylinder spark ignition engine combines turbocharging with petrol direct injection and variable camshaft control on the intake and exhaust side (double VANOS). It generates a peak output of 55 kW/75 hp and a maximum torque of 150 Newton metres which goes on stream at 1,400 rpm, accelerating the new MINI One First 5 door from zero to 100 km/h in 13.4 seconds. Power transmission to the front wheels is taken care of by a likewise newly developed 6-speed manual transmission offering optimised efficiency, reduced weight and a high level of shift comfort. What is more, an integrated gear sensor enables particularly harmonious and dynamic shifting. The high efficiency of the new drive technology is reflected in an average fuel consumption of 5.2 litres per 100 kilometres. The relevant CO2 emission level of the new MINI One First 5 door is 121 grams per kilometre (EU test cycle figures, dependent on tyre format selected). The market launch of the new basic model expands the engine portfolio of the MINI 5 door (combined fuel consumption: 5.9 - 3.5 l/100 km, combined CO2 emissions: 136 – 92 g/km) to four petrol and three diesel engines, covering an output range of 55 kW/75 hp to 141 kW/192 hp. Hallmark brand agility, characteristic style and the further refined qualities of the latest MINI generation are combined with additional functionality and comfort in all models, resulting not only from the extra doors but also a wheelbase which has been extended by 72 millimetres as compared to the new MINI 3 door. With its three seats at the rear and a luggage compartment which can be expanded from 278 to 941 litres as needed, the brand’s first five-door model in the small car segment has everything it takes to attract new target groups to the driving fun that is so typical of MINI.